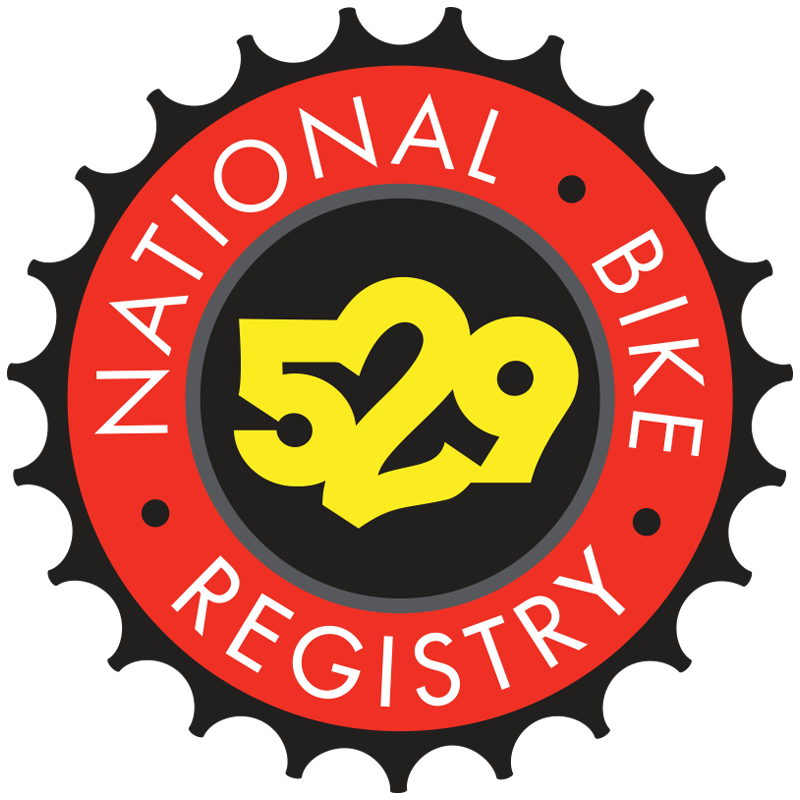 WHY ARE NATIONAL BIKE REGISTRY (NBR) AND THE 529 GARAGE MERGING? Since 1984, NBR has been trusted by hundreds of thousands of cyclists to protect their bicycles. Over the years, thousands of partner agencies across North America have used NBR to successfully return lost and stolen bicycles to their rightful owners. By combining the National Bike Registry and 529 Garage, we are able to offer the most advanced and comprehensive online bike registry in North America to our partners. 529 Garage offers advanced features such as a notification and tip system, native smartphone support and advanced search. Combining these two systems into one means getting more bikes back to owners and helping agencies increase pressure on bike theft. IS MY BIKE REGISTRATION STILL VALID? Yes! Your bicycle information has been securely transferred to the 529 Garage with a free lifetime registration. There is no action required unless you want to enhance the details of your bike, or download the details to your smartphone. I PAID FOR MY REGISTRATION WITH NBR. DO I HAVE TO PAY AGAIN? No. Your bicycle registration is still valid, and there is no fee to use the 529 Garage. In fact, your registration is now a free, lifetime registration. WHAT DO I HAVE TO DO TO MOVE MY ACCOUNT? Your bicycle information has already been securely transferred. If you would like to access your account to update any information, just visit the website to create a 529 Garage login. WHO IS PROJECT 529 AND WHAT IS THE 529 GARAGE? Project 529 is a team of software veterans that have built the 529 Garage bicycle registration, reporting and recovery system. It has been battle tested in some of the largest universities, law enforcement agencies and cities in North America. The 529 Garage also allows the cycling community to help police by making missing bike reports searchable - and even broadcast out to local cyclists to help. In fact, about half of the bikes recovered in the 529 Garage network has been with the help of the community. CAN I REGISTER NEW BIKES WITH THE 529 GARAGE? Absolutely! We encourage riders to register all of the bikes that they own. It's completely FREE for the lifetime of the bike. Register today at http://www.project529.com. NBR PROVIDED A REGISTRATION STICKER WITH MY PAID SUBSCRIPTION. HOW DO I GET A STICKER NOW? ARE THEY FREE? The free 529 Garage registration does not come with a sticker or decal. However, you can purchase a 529 Shield, a tamper-resistant decal with a unique ID that clearly identifies your bike as registered. It also serves as an additional means of identification for police and the cycling community. 529 Shields can be purchased at local bike shops and online. For a list of locations, see our Shields & Goods page. If your bike already has an NBR sticker, there is no need to remove it! We will continue to support the 1-800 number on the sitcker, so the sticker will help law enforcement and the community know that your bike has been registered, and how to return your bike. I REGISTERED WITH NBR, BUT NO LONGER OWN THE BIKE. WHAT DO I DO? If you no longer own your bike, you can send email to support@project529.com with the bike's serial number and your phone number, and we can remove the bike for you. Or, you can access your account yourself, by creating a 529 Garage login. After logging in, select Your Garage, and either transfer the registration to the new owner or delete the bike you no longer own. WHAT'S THE DIFFERENCE BETWEEN NBR AND THE 529 GARAGE? At the core, the systems are very similar: both systems securely store the important information about your bike in the cloud, and give law enforcement the ability to search for bikes that they recover to help return them to their owners. 529 Garage offers some more advanced capabilities to enhance your registration, help get the word out in the event of theft and offers more advanced features to our partners. In the event of theft, victims can alert nearby 529 users, social media and law enforcement of the theft and receive tips from the community. I FOUND A BIKE WITH AN NBR STICKER. WHAT DO I DO? The first thing we recommend is checking to see if the owner has posted the bike as missing on our new website. If you find it, you can use our site to contact them. If you don't see a listing, send us email with the information that you have about the bike (manufacturer, color and serial number) and we'll try to locate the owner for you. I'M A LAW ENFORCEMENT OFFICER, AND USE NBR TO LOOK UP BIKES THAT WE RECOVER. WHAT HAS CHANGED? With the 529 Garage, we offer several tiers of service starting with our free Universal Search account, which has all the features (plus a few new ones) that NBR provided. You can sign up here. If you need any help, just contact us at support@project529.com.